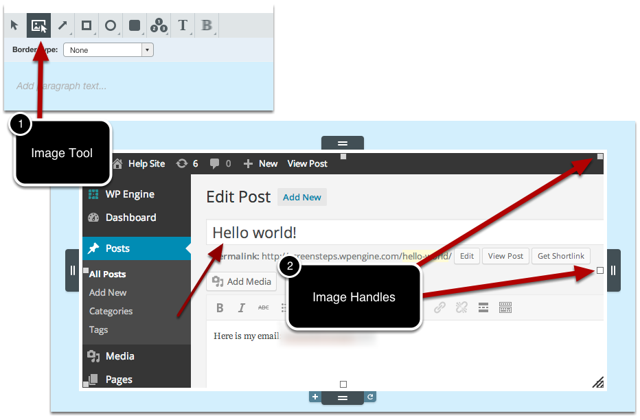 Clarify 2 ManualClarify Desktop Working with Images and AnnotationsHow do I resize images and the image canvas? 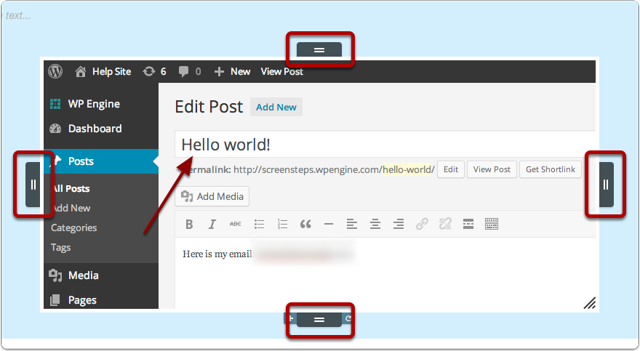 Clarify has 4 handles around the sides of the step image editor that will resize the canvas. 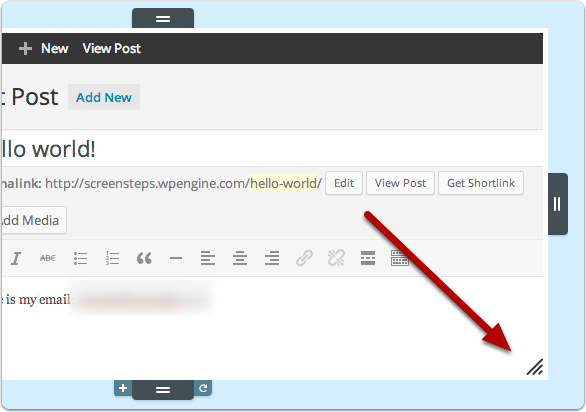 Clicking on any of these handles will allow you to change the size of the canvas where images and annotations can be placed. You cannot make the canvas smaller than an image (e.g. you cannot crop an image using the canvas handles). If your step has a single image then an image resize handle will appear in the bottom-right corner when the step is selected. Clicking on this handle will allow you to resize the image. Hold down the Option (OS X) / Alt (Windows) key while resizing to resize in 10% increments. You can also use the image tool to resize images. With the image tool selected (1), you can click on an image and handles will appear around the image (2). You can click on the handles to resize the image. 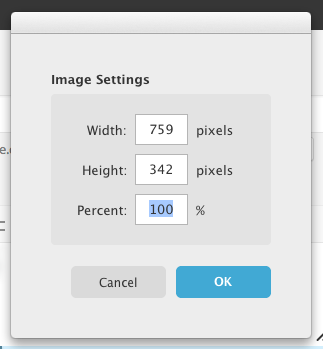 After selecting Resize Image... a dialog will appear that gives you precise control over the size of the image. Is there a way to adjust where a selected image can be aligned L, R, or C? Some of my images would look better aligned on another area of the page than others. @Lauren - There is not. 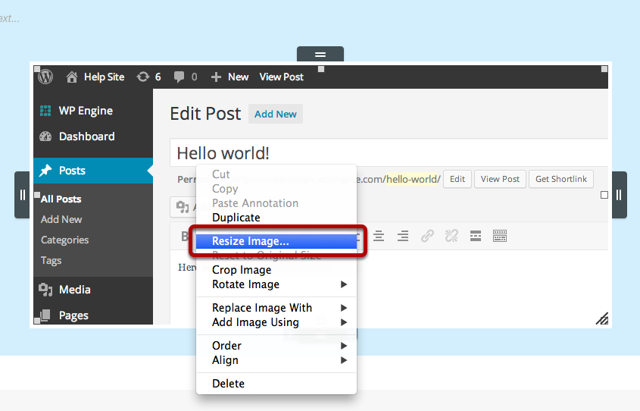 Specifying image alignment is done in the template used at export time rather than on an image-by-image basis. Is there a way to resize all the images at the same time? @Ken No, there is not.